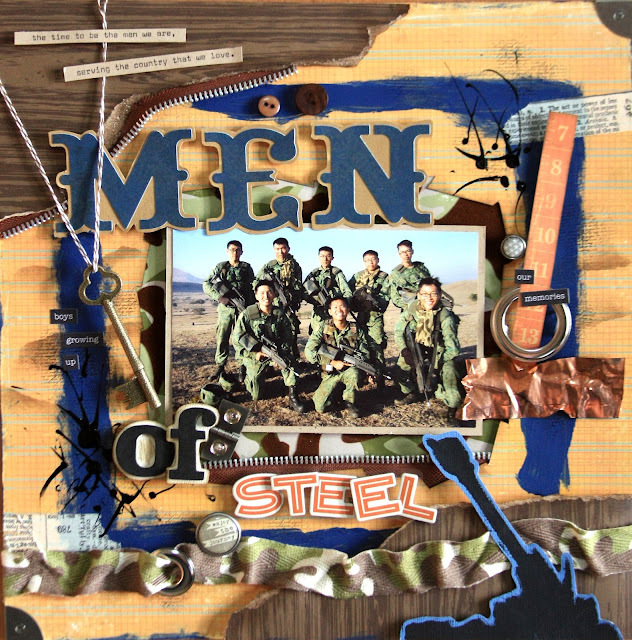 All On Focus: Men of steel. here's a layout I did today. Never taking defence for granted. Loving the blue artillery gun cut-out I did many years back! Till then! No close up pictures this time! You can check out at Papermaket Rafflescity for more!